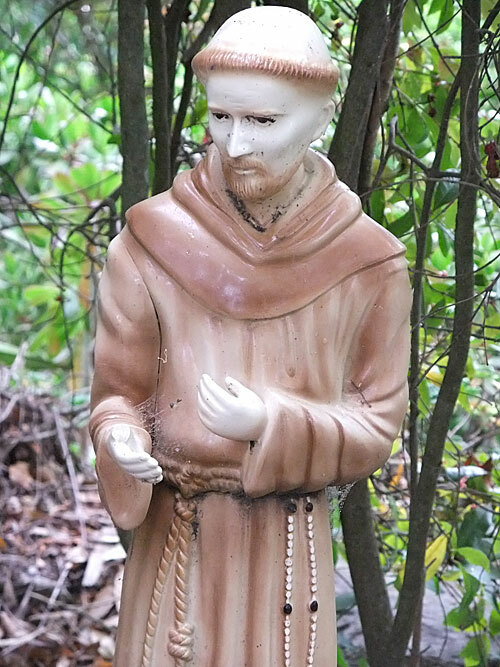 Today's guest blogger in this series on the Prayer of St. Francis is Helena Chan. Helena doesn't have a blog. Together, we went through EfM (Education for Ministry) for three of the four years and we now chant Lauds at the Cathedral once a month. delivered by the hands of a Benedictine monk. anchoring the prayer as I touch, see, and sense. Momentarily, my mind flits to another place, distracted from Brother Roy and the calligraphy before me. I pull “St. Benedict’s Prayer Book” off my shelf, wondering whether these Benedictines have this prayer in their collection. Lord, make me an instrument of your peace;where there is hatred, let me sow peace,where there is injury, let me sow pardon,where there is doubt, let me sow faith,where there is despair, let me sow hope,where there is darkness, let me give light,where there is sadness, let me give joy. O Divine Master, grant that I may not try to be comforted, but to comfort,not try to be understood, but to understand,not try to be loved, but to love. Because it is in giving that we receive,it is in forgiving that we are forgiven,and it is in dying that we are born to eternal life. AMEN. Because it is in giving that we receive. a conclusion that opens up to something new. Maybe this week, when it is Me giving, then We receive. I remember a recent conversation. “When you create and make something, like a new computer, someone can take it and do something with it. If I hoard, I am a slave to what I hoard. And I cannot be free. I cannot be free alone. I know now, that we are either all free, or all slaves. When I give what is true and empower others, we each receive freedom. This is the movement from “me” to “we” that I see in the prayer. My spark of epiphany over, I return to be empowered by Brother Roy’s art. I walk through the circular labyrinth, tracing and breathing the words. This is a kind of lectio. The exterior action of following and slowly spinning the paper to pray the words draws me towards the Center interiorly. God, you are the beginning and the end, the Alpha and the Omega. 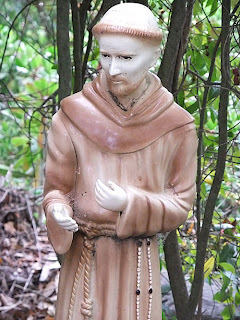 Thank you for this exploration through St. Francis’ prayer and Brother Roy’s art. so that we all might be free; In your eternal Love, O Christ, Amen.